Koh Phangan is known worldwide as a destination for exuberance, spirituality and lush tropical beauty. Add creative growth and development to that mix and you have an exciting new Phangan retreat experience. Session themes include memoir writing, self-publishing, funding your projects, writing attention-grabbing headers and content for social media, how to edit and proofread, how to make your blog post stand out, how to master the art of observation, interviewing skills, how to tell your story, and much more. Mermaid Villa was chosen as the location for the scene of the experience, says Brian, for its lush waterfront, poolside ambience. “I lived just around the corner for months and never knew what a gem I had for a neighbor. Kaila kept raving about it and I had no idea till I met Lee there for my first visit.It’s everything we wanted. Intimate, beautiful and special, it’s a place where someone seeking a transformative creative experience can spread their wings.” A Thai chef will handcraft meals, and one of the island’s most esteemed yoga teachers will lead relaxation, breathing, meditation and creative visualization exercises. COST: Workshop with luxury beachside accommodation is $1,350 USD, and without accommodation, $750 USD. For complete details to join see below. Brian Gruber began his media career as the first marketing director of C-SPAN, where he hosted national call-in shows with politically prominent guests such as Cesar Chavez, Nancy Pelosi and John McCain. He founded FORA.tv , which brought the world’s leading public forums ( Chautauqua, New York Public Library, Aspen Ideas Festival ) to the web, conducting interviews with writers and public intellectuals such as Norman Mailer, Malcolm Gladwell, Christopher Hitchens and Robert MacNeil. He also founded ShowGo.tv , an automated platform livestreaming the world’s elite jazz clubs. He is the author of two books, Dauphin, Dorian & Dead and WAR: The Afterparty , a Kickstarter-funded global tour of the scenes of the last half century of U.S. military interventions. He co-hosted a writing workshop at The Sanctuary in September and has led workshops on personal visioning and storytelling for individuals and groups for four years. He is currently working on a biography of jazz fusion great Billy Cobham. Visit his website at grubermedia.com. Kaila Krayewski kick-started her writing career with a degree from the prestigious Carleton University Journalism School, before moving on to a Master’s degree in International Relations in the UK. Her feet already starting to itch, she ventured to Asia, where she began a career in content marketing. She swung from magazine editor to university marketing professor and many similar jobs in between until she finally started her content marketing company. Kaila’s company, Archipelago Communications , works with high-end brands like the Shangri-La Hotel Group, Momondo, Calvin Klein, Nine West, AIG, and more, helping them deliver the most engaging content to their fan bases both on and offline. 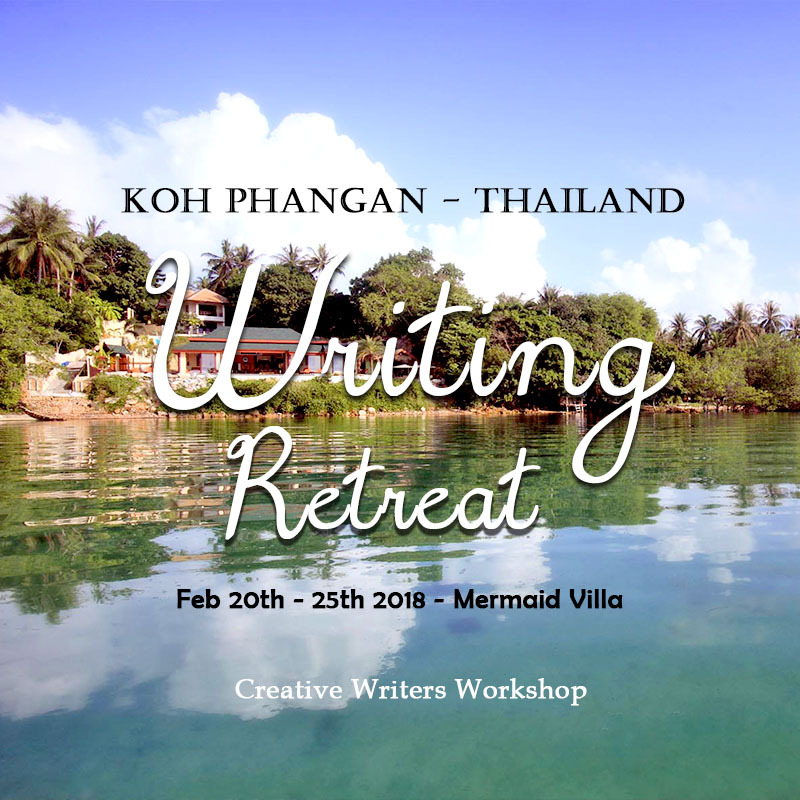 She recently opened The Content Castle , a haven for writers’ on Koh Samui. For more information you can also visit http://digitalnomadasia.com.